The AAA boys race was most exciting for everyone in attendance. 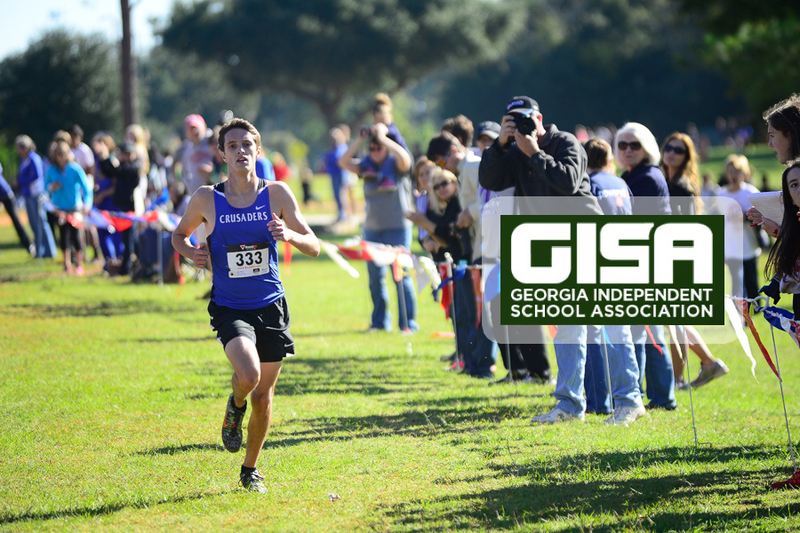 The top five were exactly the runners you would have expected: the McLeod brothers from TCD, Evan Downs of Westminster Augusta, Wright Calhoun of Southland and John Earwood from Augusta Prep. Kaleb McLeod went out well and as usual gapped the chase pack after a while taking the Overall title in 15:30. 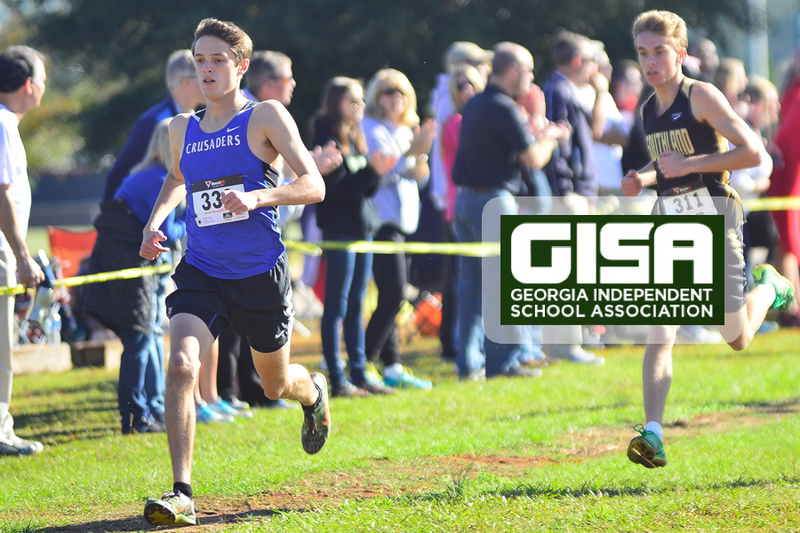 Most did not expect Calhoun to run as close as he did to Kaleb McLeod placing 2nd in 16:00 Calhoun hit a PR on the perfect day chopping off more than 30 seconds faster than he'd ever run before. Evan Downs was about 80m back in 3rd place at 16:15, Jacob McLeod 4th in 16:33 and Earwood 5th posting a 16:46 leading Augusta Prep to 3rd as a team. Southland needed every one of their runners 'to bring it' to overcome last season's AA champ Trinity Christian Dublin. Their respective fourth and fifth runners were battling it out. with Southland's Team Captain Brian Miller limping in from a season long injury that kept him out many races this Fall. The biggest boost Southland got was from Ridge Roland, a converted third string quarterback in his first full year on the varsity. Roland took sixth, with a PR about 40 seconds faster than he had ever run before. Billy Calcutt came in right behind him, giving Southland three of the top seven and the cushion they needed to best Trinity Christian Dublin. Brookwood strongly at region and backed it up today with a fifth-place finish. The course was dry, making the back part of the trail somewhat soft and sandy, and the clay part with the pea gravel a little bit slick. A new section of the sidewalk adjusted to accommodate a new road behind the campus meant the runners had to run about 100 meters on the concrete sidewalk. This meant that most of the runners were discouraged from wearing spikes, which they could have used on the grass and clay parts of the course. The AAA girls went first and had the most favorable conditions. Ruthie Powell of The Heritage School took an immediate lead and was chased by Virginia Moore from Deerfield Windsor for the duration of the race. Both runners looked strong, Powell just looked faster creating separation taking the AAA overall title in 19:13. 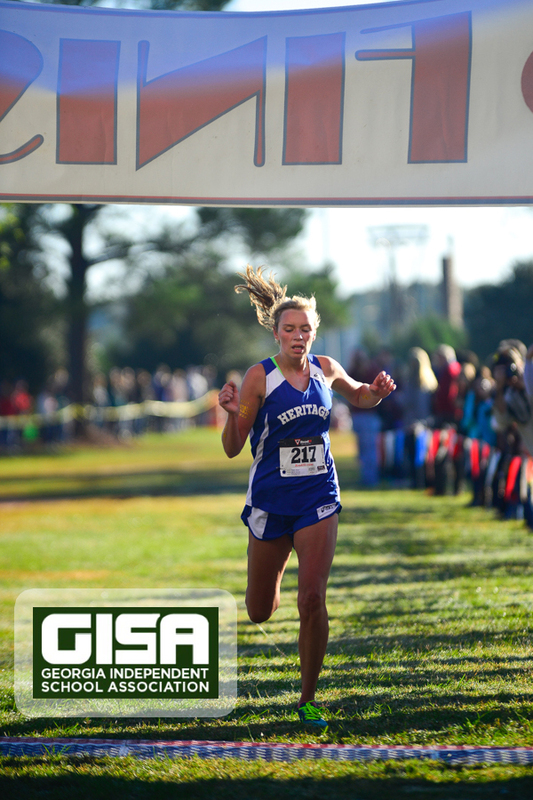 Moore hung tough placing 2nd overall at 19:26 on her home couse and for a little while appeared she might have enough in the tank, but not today as Moore was fresh off winning the 3-AAA meet last week in Americus when Southland's Chris Shattles fell near the finish line. Unfortunately, Shattles dropped out of the race today at the midpoint and was diagnosed with a fractured tibia. 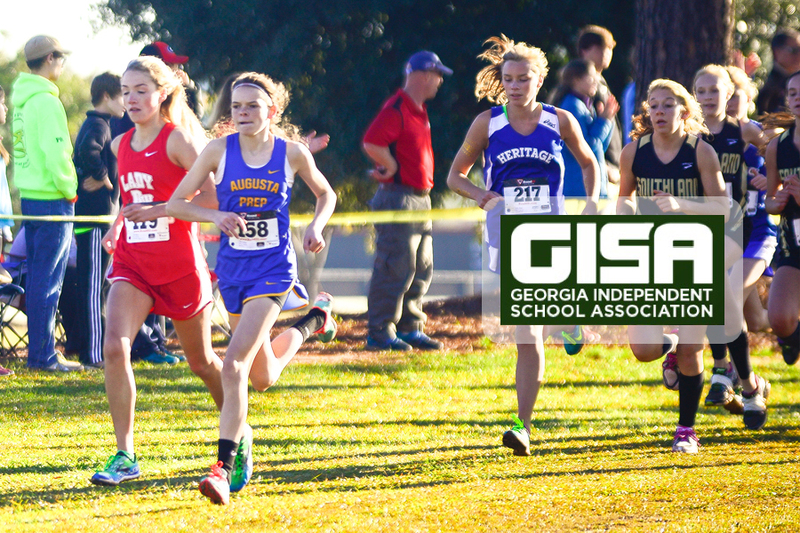 Jamie Holodak of Augusta Prep finished 3rd in 19:54, Ashley Wood of The Heritage School was 4th at 20:13 and Emily Rogers of Westminster Augusta rounded out the top 5 in 20:28. Rogers led Westminster Augusta to the team title with her 3rd place finish with Tyra Kimbler (10th), Caroline Paulk (12th) and Catherine Paulk (16th) Holy Spirit Prep was team runnerup with Stephanie Perez leading the way in 13th overall. Augusta Prep secured the 3rd place trophy led by Holadek's 3rd place finish. Before the meet, it looked like Southland might match up fairly well with Westminster of Augusta, but without Shattles, they ended up fourth. 5 National Elites. 16 Elites.